Quick overview A revised and expanded edition which has additional chapters and material. A new opening chapter discusses the concept of "grammatically correct English" and various approaches to the writing of grammar books. 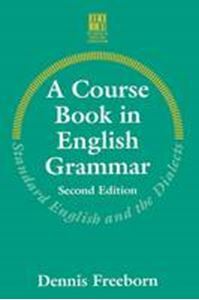 The book itself describes Standard English and has authentic written and spoken examples. A Course Book in English Grammar looks at many of the problems encountered by students and encourages them to find their own answers and to assess hypotheses about grammatical description.